Filling your X-Files needs for 1 year! Due to the ever increasing amount of ad banners and popups plastered all over this site, The X Files: I Want To Believe will soon be moving to a new ad-free host. And the site will be getting an all new look! I’ve been planning a new design for the site for a while, and so when the site moves, the new layout will take effect. But don’t worry, you will still be able to access the site via this address. Ill post a page to let everyone know that the site has indeed moved! Please email me for more info! 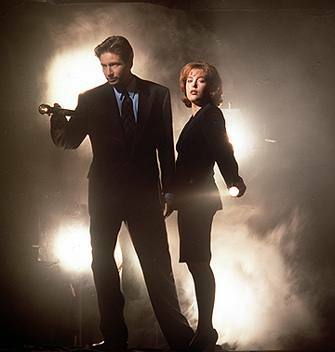 The X Files: Resist Or Serve! 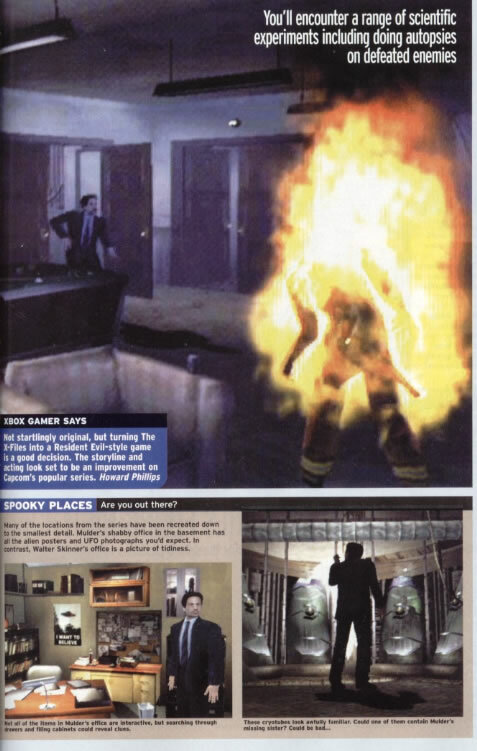 Some details have surfaced regarding the latest X-Files game which is due to be released on all major games consoles later this year. 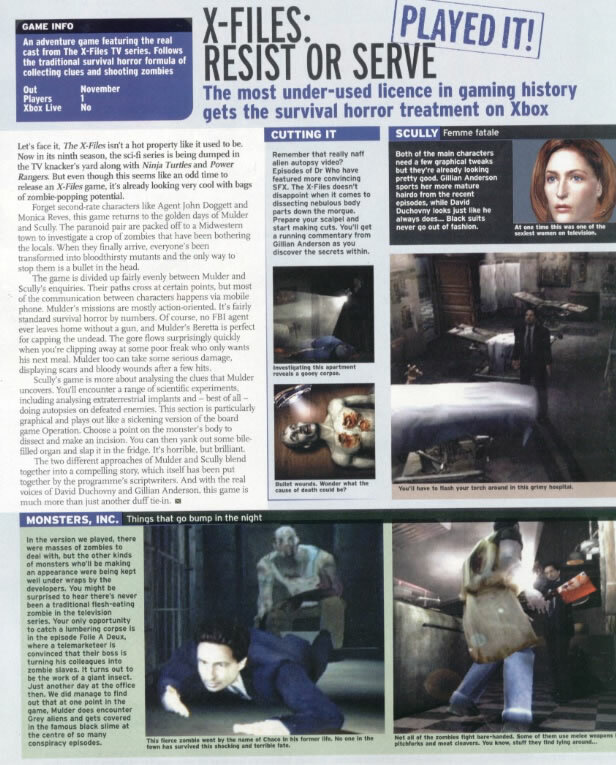 The UK gaming magazine Xbox Gamer published an article in their May issue, showing some screen caps for the game as well as a review. No X Files 2 Soon?? · Read My Lips image 13 added! · Read My Lips image 12 added! · Read My Lips Image 11 added! · Read My Lips Image 10 finally added! · Read My Lips Image 9 added! · Read My Lips Previous Images added! · Read My Lips 8 added! · Read My Lips Image 7 finally added! Sorry for the wait! · Exclusive Space Promo added to Multimedia! · Read My Lips Image 6 added! Read My Lips image #13 is now online and awaiting entries! Spread the word and prepare for some laughter!